The Atoll PR300 Signature preamplifier is Atoll’s most upgraded preamplifier, a manufacturer from Normandy in France. It has the same 8mm thick aluminium front panel as the Atoll IN300 integrated amplifier as well as the 1.5 mm thick metal chassis. This preamplifier is rigid and thus limits all mechanical vibrations. The top of the device is perforated for a better heat dissipation, even though the PR300 SIG does not heat up as much as an amplifier. The controls on the front panel have been refined. The two big “logical” and “rotary” buttons on the front panel give you complete control of this preamplifier. These two buttons are on each side of the OLED display and indicate the source and the volume. These buttons enable to power on the device, select the source, control the volume and balance. 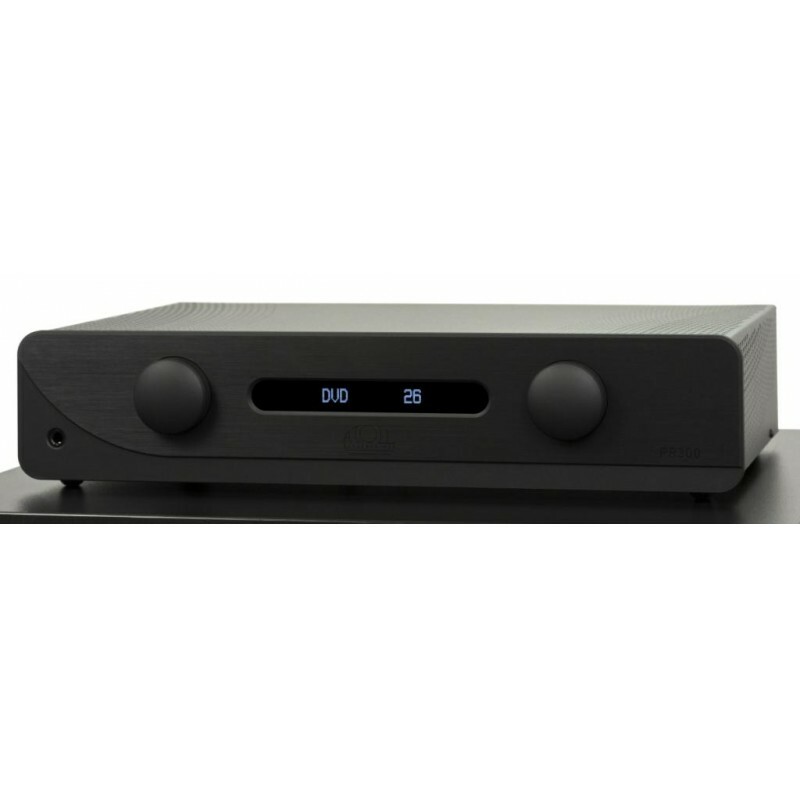 This preamplifier also comes with a remote control which also gives you complete control. The front panel also has a jack 6.35 mm headphone output. The back of the device has 5 analogue inputs, 1 tape output, 1 By-pass input, and a double pair of preamp outputs. 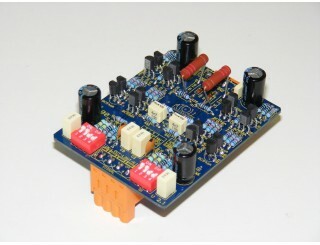 This double pair of preamp outputs enables you to either use a power amplifier on one output, or to use the 2 preamp outputs to connect 2 power amplifiers (bi-amplification). It is also possible to connect a subwoofer on one of the preamp outputs. The By-pass input will enable you to connect this preamplifier to a processor or a Home-cinema amplifier. On the inside, there is the layout of the preamp part of the IN300 integrated amplifier. Atoll has installed a volume attenuator per channel. 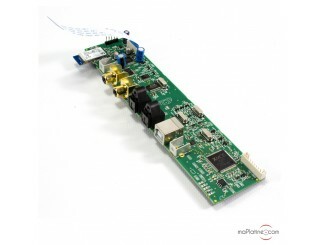 These attenuators improve the channel separation and thus the stereo and signal-to-noise ratio. The audio stages are equipped with MKP Mundorf shielded condensers. They especially improve the musicality but also the signal-to-noise ratio. All the stages are dual mono and are powered via two toroïdal transformers of 330VA each. The manufacturer only uses discrete components. A specific low consumption power supply (5VA) is dedicated to the OLED display and control panel circuits. The Atoll PR300 Signature preamplifier has a total of capacitors of 62000 microfarads, which is a reference for a preamplifier of this range! 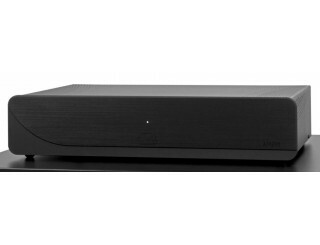 This Atoll preamplifier is the worthy representative of the brand’s products. There are dynamics and a transparency dear to the manufacturer. There is also a remarkable neutrality and as mentioned before a great transparency. The midrange is very precise and of a great realism. The voices are neither harsh nor imprecise. 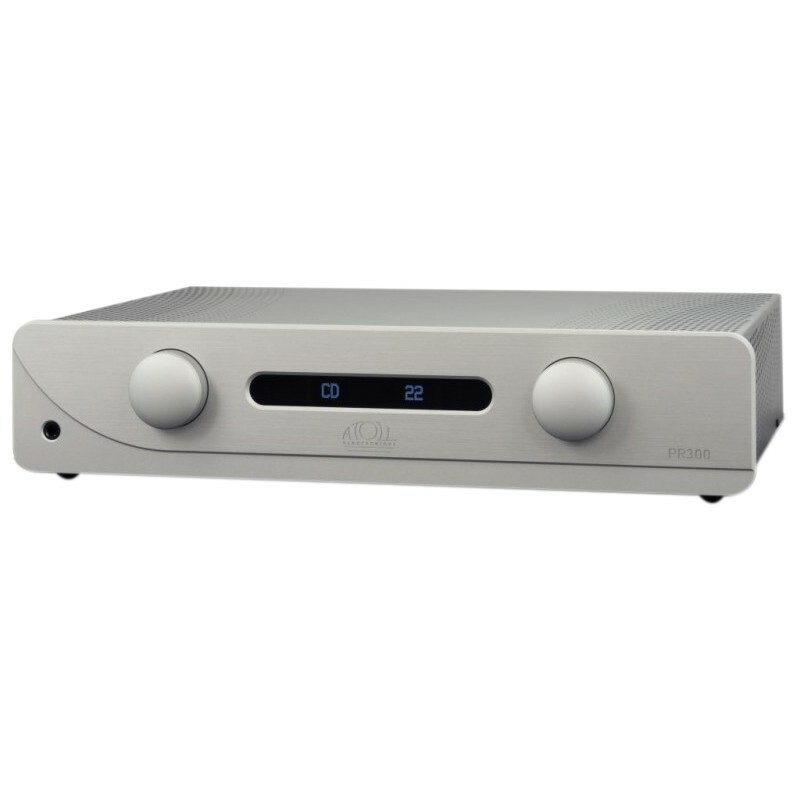 This Atoll PR300 Signature preamplifier is of course the perfect match with the Atoll AM200 Signature power amplifier. However, it is also perfectly compatible with several other devices from competing manufacturers. This PR300 Signature preamp is excellent and you can even add to it the ATOLL MM/MC P100 phono stage or the excellent Atoll Signature digital board.